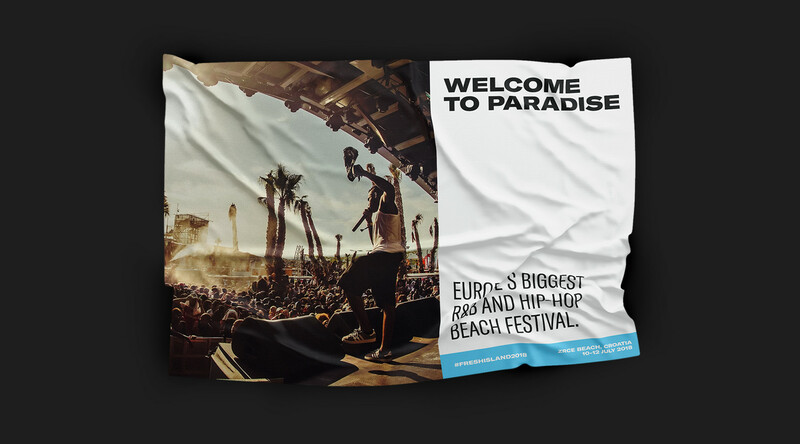 Fresh Island Festival is Europe’s number one urban beach festival, held each summer on Croatia’s Zrce beach. 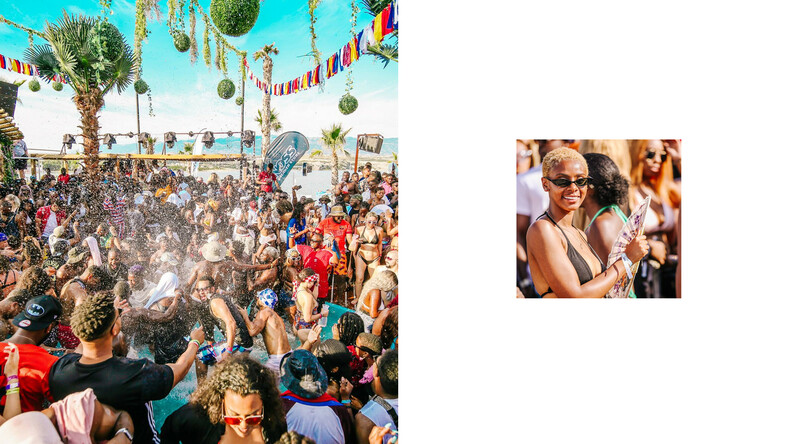 The festival takes place in its huge, open-air clubs and aboard boats on the clear blue Adriatic sea. 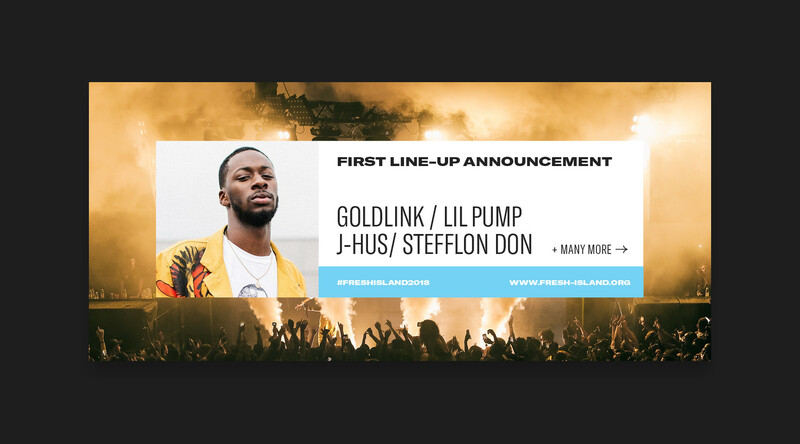 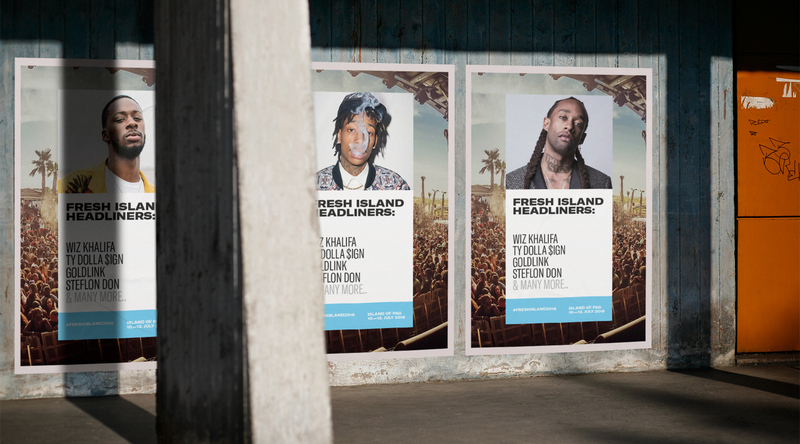 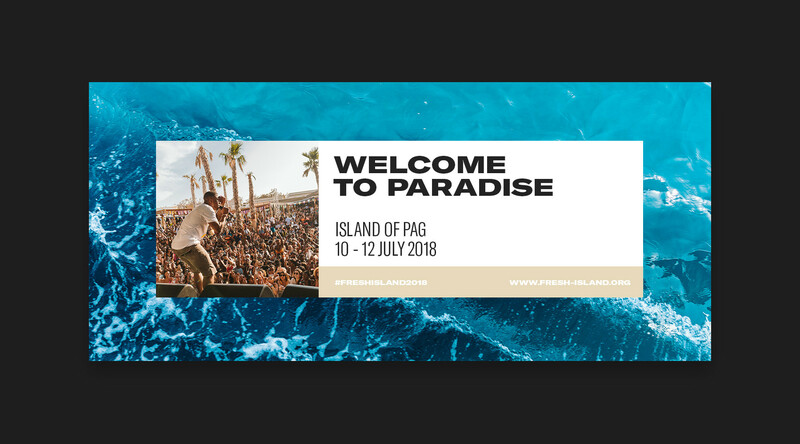 Attracting the best names in the scene, such as Snoop Dogg, A$AP Rocky, Chris Brown, Rae Sremmurd and French Montana, Fresh Island has become the go-to summer getaway for urban music lovers. 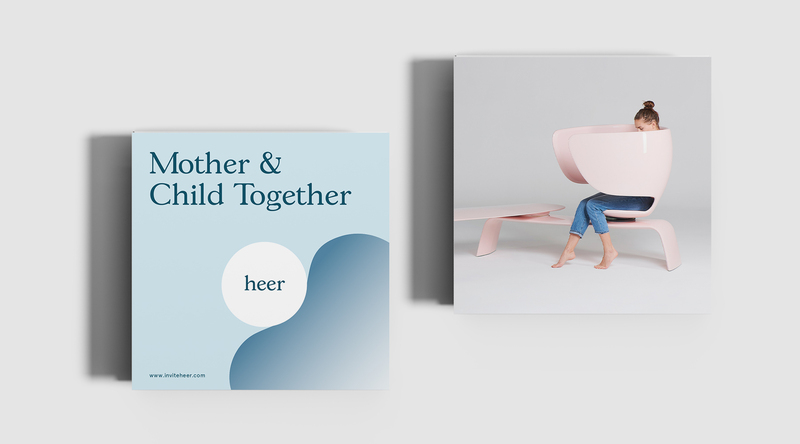 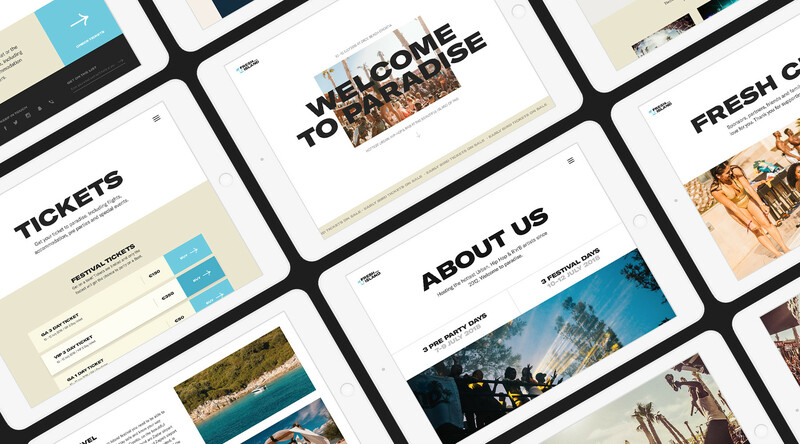 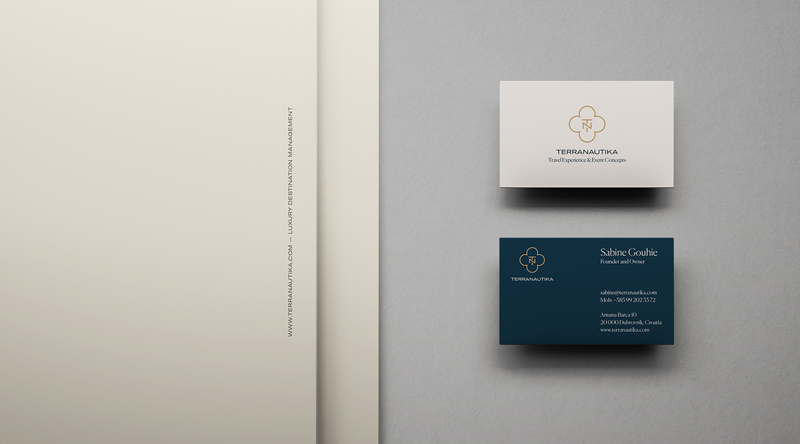 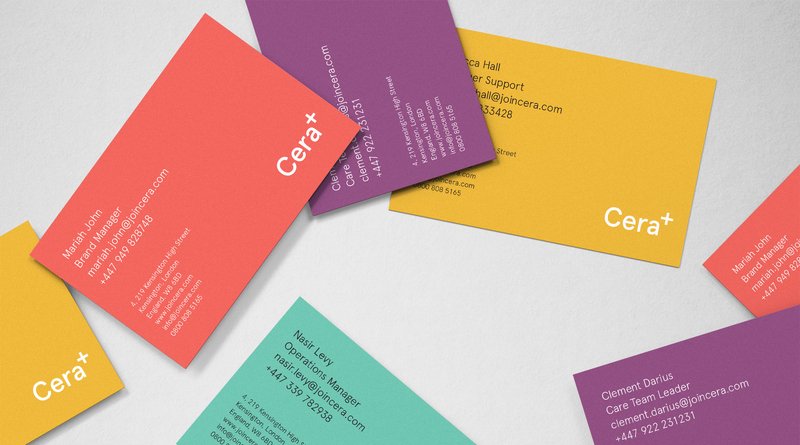 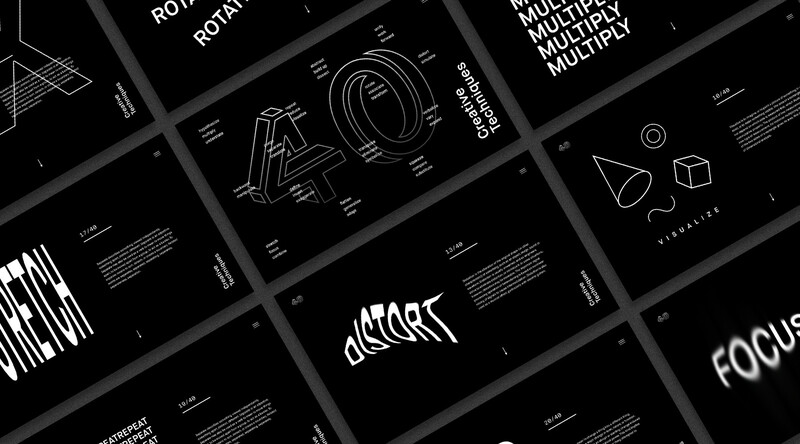 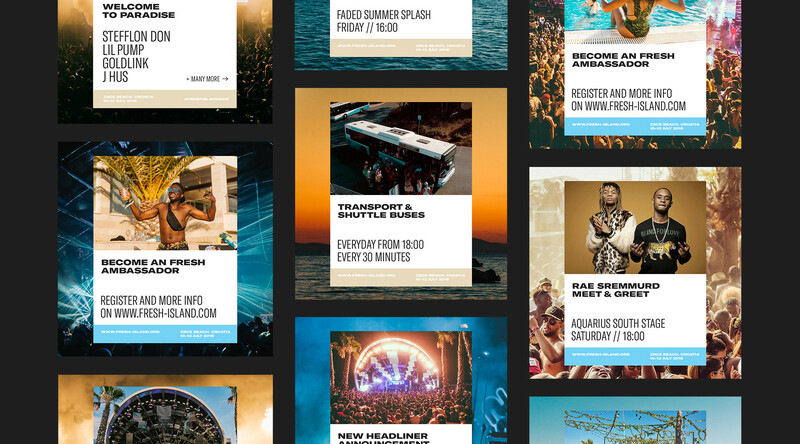 The task was to create 2018’s verbal and visual identity which combines Adriatic summer vibes with progressive hip-hop aesthetics. 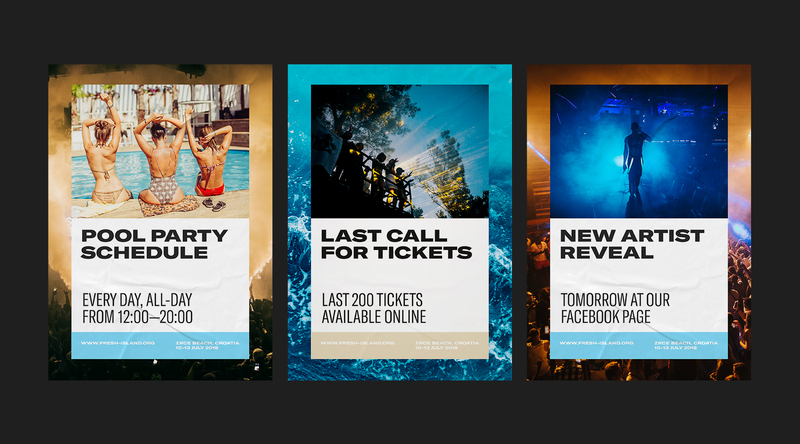 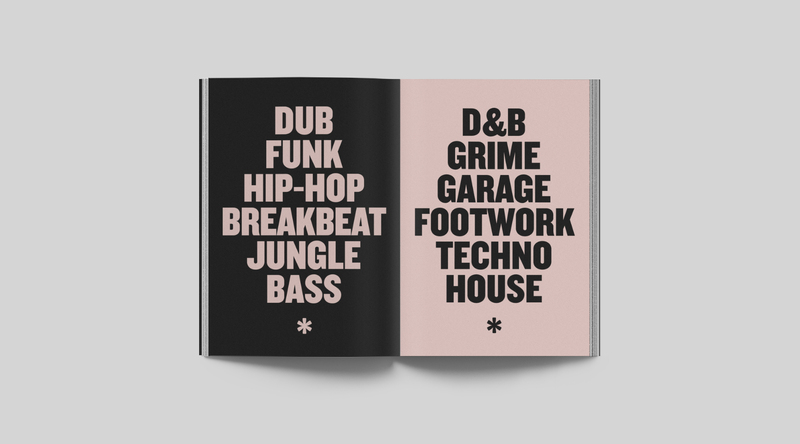 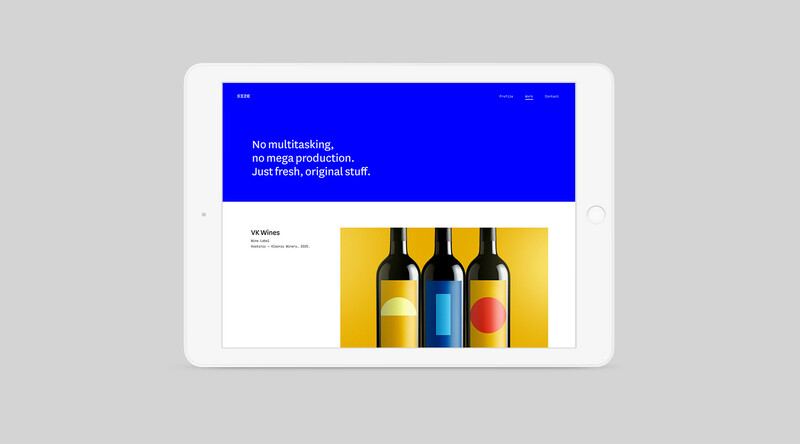 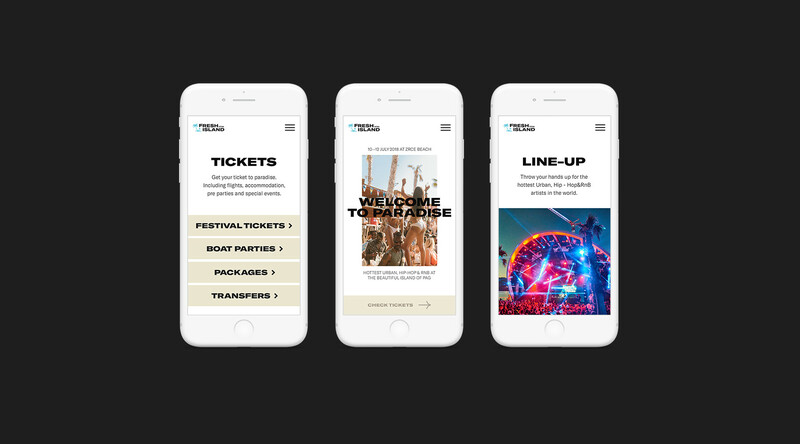 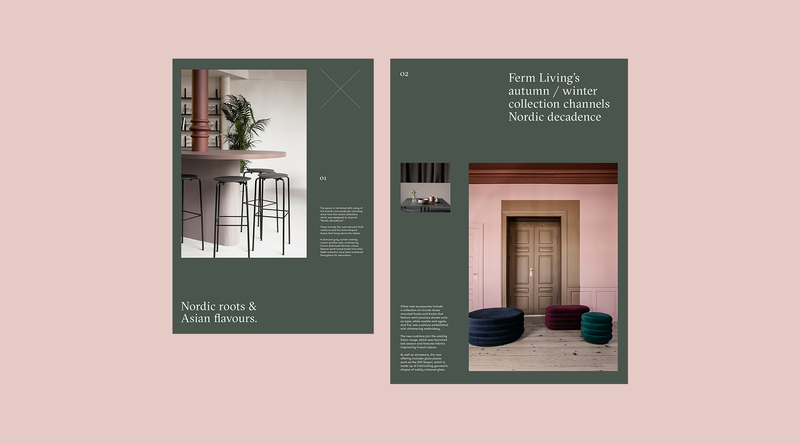 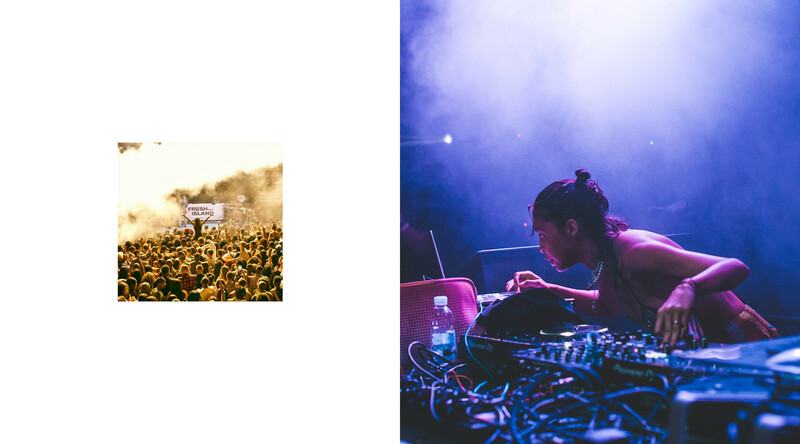 The result was modular/responsive layout which simultaneously shows both festival atmosphere, headliner artists mugshots and manipulative space reserved for different type of textual content.